Sophie Petreikis, age 99, of Peotone, passed away on Friday, November 23, 2018 at home. She was born on October 16, 1919 in Kamajai, Lithuania. She married the late Joseph M. Petreikis, Sr. in 1943. Sophie enjoyed cooking, baking, fishing, gardening, knitting, crocheting, picking mushrooms and berries, playing Bingo, and all outdoor activities. One of the things she enjoyed the most was waiting for her husband to buzz their cabin with his airplane. She especially loved visiting with her children, grandchildren, great-grandchildren, and nieces and nephews. 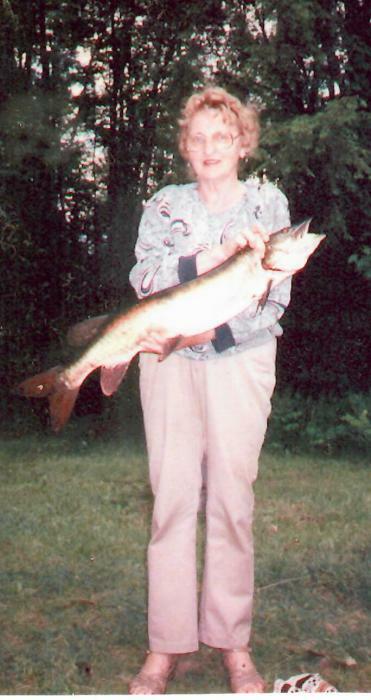 She is survived by two sons and daughters-in-law, Joseph M. (Charmaine) Petreikis, Jr. of Three Lakes, WI and James A. (Sandra) Petreikis, Sr. of Peotone; her grandchildren, Kimberly Wallace, James A. (Cathy) Petreikis, Jr., Anthony J. (Laura) Petreikis, and Christopher A. (Tara) Petreikis; and her great-grandchildren, Brittany (Ryan) Dahlberg, Grant Petreikis, Garrett Petreikis, Kaylee Petreikis, Nathan Petreikis, Nicholas Petreikis, Emma Petreikis, Ashley Wallace, Braeden Wallace, Jameson Wallace, and Hudson Petreikis. Sophie was preceded in death by her parents, Jonas and Caroline Baranauskas; her husband, Joseph M. Petreikis, Sr., one sister, Adigaga Montvidas; one brother, John Baranauskas; and an aunt, Connie Rushis. Private family services will be held. In lieu of flowers, donations in Sophie’s name to Hospice of Kankakee Valley, 482 Main St. NW, Bourbonnais, IL 60914 would be appreciated.